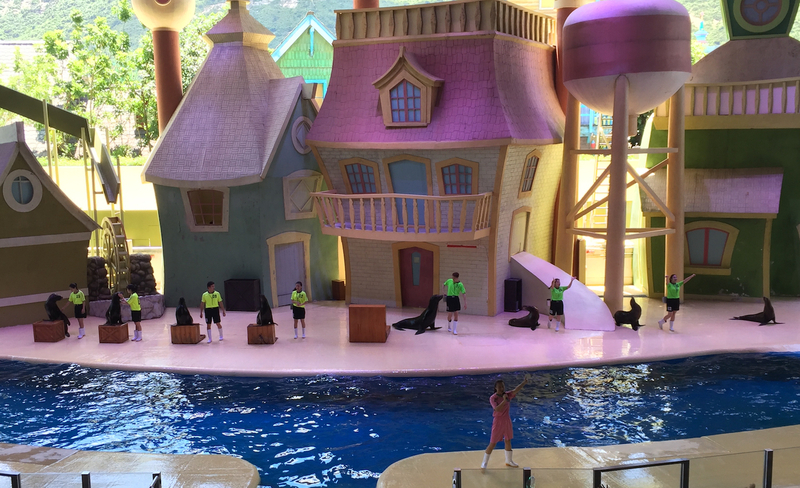 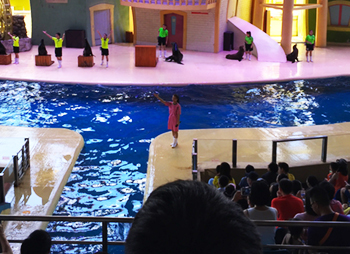 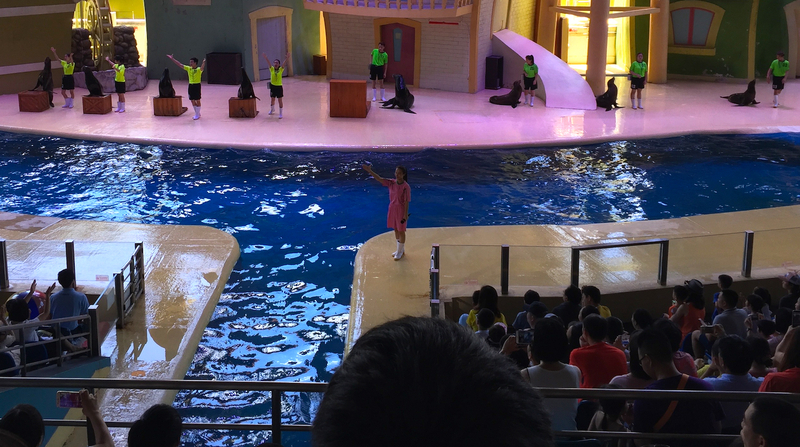 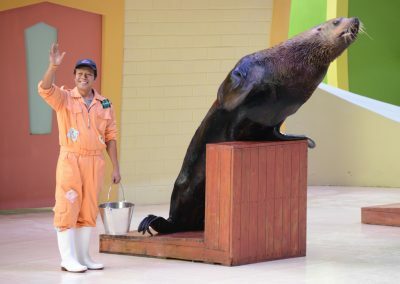 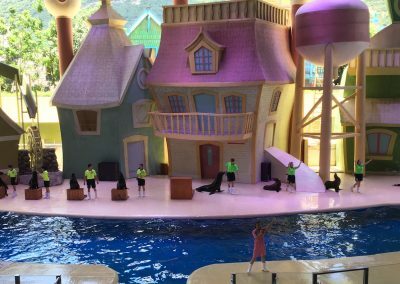 Sea Lions vs Pirates is a show featured at the Sea Lion Theater. 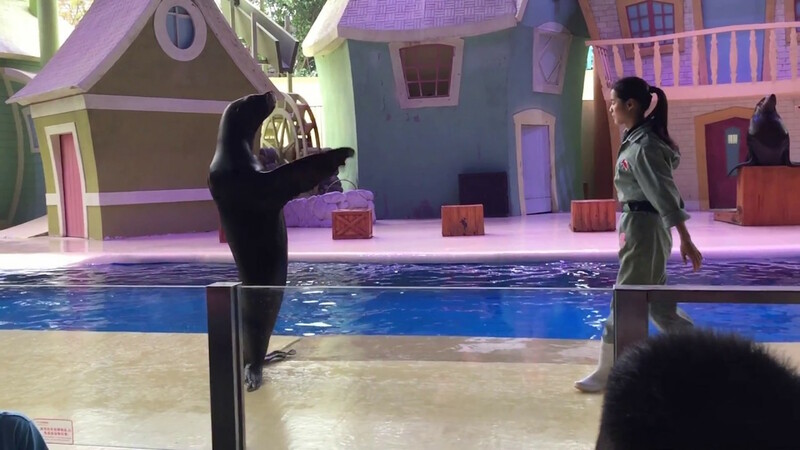 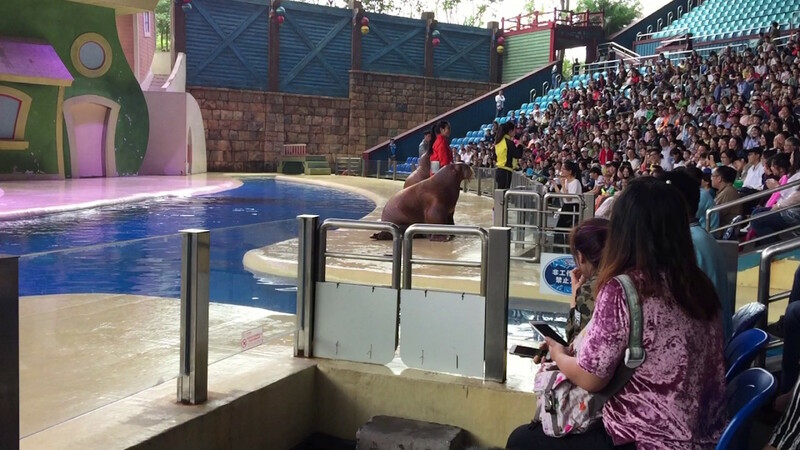 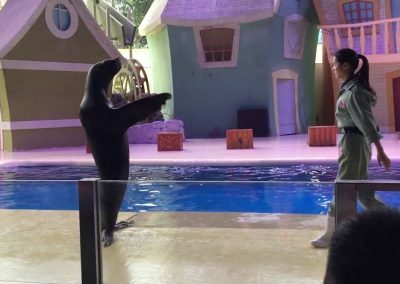 These cute sea lions are masters of tango, rock music and samba dance. 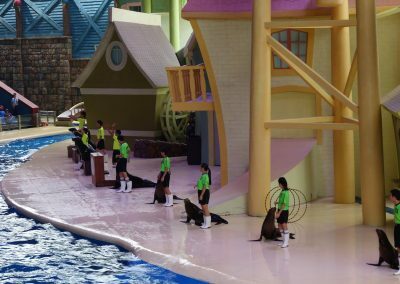 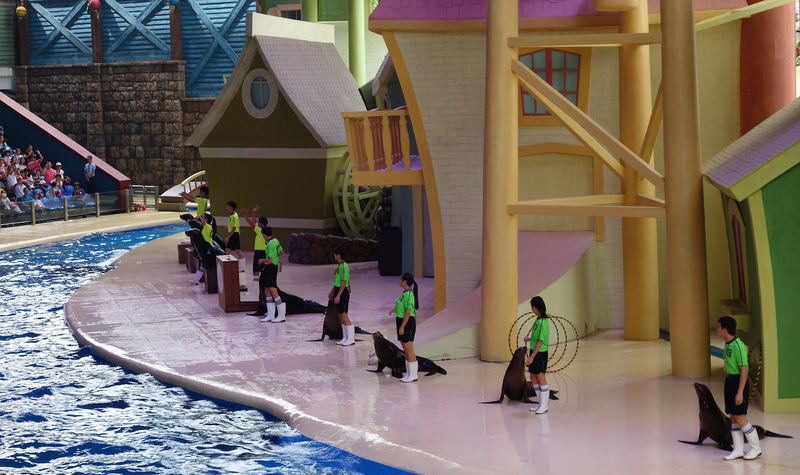 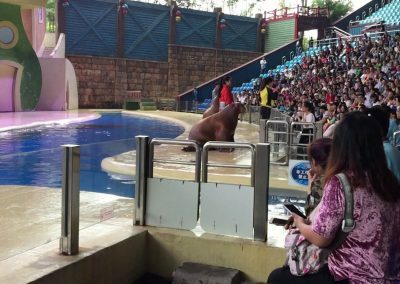 Even Chinese martial arts and acrobatic movements such as spinning in the water and cat-walking are no challenge to them.